Firefly Sunset Resort requires that all persons or entities visiting any Firefly Sunset Resort Sites on the World Wide Web ("Sites") agree to the following terms and conditions. By accessing a Site, you confirm your agreement to and acceptance of these terms. Unless otherwise specified, copyright in all copyrightable subject matter on any Site is owned by Firefly Sunset Resort. To the extent that Firefly Sunset Resort have the right to do so without compensation to third parties, and except for materials or information specifically provided under other terms, Firefly Sunset Resort grants you permission to copy or otherwise download from any Site, information and materials (including related graphics), provided: 1. The materials are for internal, non-commercial use only, and 2. Any copies of materials or portions thereof must include the copyright notice specified on the Site. If attribution to Firefly Sunset Resort is included, limited quotations from the content are hereby permitted. You may not copy or display for redistribution to third parties for commercial purposes any portion of the content without the prior written permission of Firefly Sunset Resort. Documents posted by Firefly Sunset Resort on a Site may contain other proprietary notices or describe products, services, processes or technologies owned by Firefly Sunset Resort or third parties. Nothing contained herein shall be construed by implication, estoppels or otherwise as granting to the user a license under any copyright, trademark, patent or other intellectual property right of Firefly Sunset Resort or any third party. 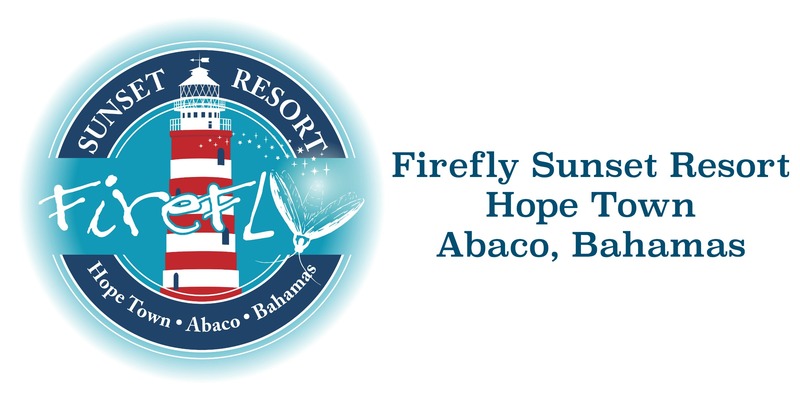 The Firefly Sunset Resort name and logo and all related product and service names, design marks and slogans are trademarks, service marks or registered trademarks of Firefly Sunset Resort and may not be used in any manner without the prior written consent of Firefly Sunset Resort. Other products and service marks are trademarks of their respective owners. Firefly Sunset Resort is under no obligation to monitor the information residing or transmitted to this site. However, anyone accessing this site agrees that Firefly Sunset Resort may monitor the site to (1) comply with any necessary laws, regulations or governmental requests; (2) to, in its sole discretion, operate the Site in a manner it deems proper or to protect against conduct it deems inappropriate. Firefly Sunset Resort shall have the right but not the obligation, to reject or eliminate any information residing on or transmitted to the Site that it, in its sole discretion, believes is unacceptable or inconsistent with these terms and conditions. In the event Firefly Sunset Resort receives information or materials through the Site, including but not limited to feedback, data, answers, questions, comments, suggestions, plans, ideas or the like, such information or material shall be deemed to be non-confidential and Firefly Sunset Resort assumes no obligation to protect same from disclosure. The submission of information or materials to Firefly Sunset Resort shall in no way prevent the purchase, manufacture or use of similar products, services, plans and ideas by Firefly Sunset Resort for any purpose whatever. In addition, you grant Firefly Sunset Resort the right, in any form now or hereafter known, to reproduce, use, disclose, distribute, transmit, create derivative works from, and publicly display and perform, any information or materials you submit to through any Site. You assume all responsibility and risk for the use of this site and the Internet generally. In no event shall Firefly Sunset Resort or Bookt, LLC, or its affiliates be liable for any direct, special, indirect, or consequential damages or any damages whatsoever; including but not limited to loss of use, data, or profits, without regard to the form of any action, including but not limited to contract, negligence, or other tort actions, arising out of or in connection with the use, copying, or display of the content resulting from access to or use of this site, or the Internet generally, under contract, tort or any other cause of action or legal theory. Although Firefly Sunset Resort believes the content to be accurate, complete, and current, Firefly Sunset Resort makes no warranty as to the accuracy, completeness or currency of the content. It is your responsibility to verify any information before relying on it. The content of this site may include technical inaccuracies or typographical errors. From time to time, changes are made to the content herein. Firefly Sunset Resort may make changes in the products and/or the services described herein at any time. Access to each site (including any information or materials therein) is provided on an "as is" basis, without warranties of any kind, either express or implied, including, but not limited to, warranties of title, non infringement or implied warranties of merchantability or fitness for a particular purpose. No advice or information given by Firefly Sunset Resort, affiliates or their respective employees shall create any warranty. Neither Firefly Sunset Resort, nor its affiliates warrant that the information or materials on, or access to, any site will be without interruption or error free. Some of the sites listed as links herein are not under the control of Firefly Sunset Resort. Accordingly, Firefly Sunset Resort makes no representations whatsoever concerning the content of those sites. The fact that Firefly Sunset Resort have provided a link to a site is NOT an endorsement, authorization, sponsorship, or affiliation by Firefly Sunset Resort with respect to such site, its owners, or its providers. Firefly Sunset Resort is providing these links only as a convenience to you. Company has not tested any information, software, or products found on these sites and therefore cannot make any representations whatsoever with respect thereto. There are risks in using any information, software, or products found on the Internet; and Firefly Sunset Resort cautions you to make sure that you completely understand these risks before retrieving, using, relying upon, or purchasing anything via the Internet. You agree that you will comply with any security processes and procedures (such as passwords) specified by Firefly Sunset Resort with respect to access to or use of the Site. Further, you agree not to access or attempt to access any areas of or through a Site which are not intended for general public access, unless you have been provided with explicit written authorization to do so by Firefly Sunset Resort. Any information provided by you to Firefly Sunset Resort, including but not limited to feedback, data, questions, comments, suggestions, or the like, shall be deemed to be non confidential. Firefly Sunset Resort shall have no obligation of any kind with respect to such information and shall be free to reproduce, use, disclose, and distribute the information to others without limitation. Additionally, Firefly Sunset Resort shall be free to use any ideas, concepts, know-how or techniques contained in such information for any purpose whatsoever, including but not limited to developing, manufacturing, and marketing products incorporating such information.